We are an Italian company, with our global head office based in Milan. We enjoy a presence in more than 130 countries with over 70,000 employees. We manufacture, market and distribute a collection of luxury frames and sunglasses.Our house brands (the ones we own) include Ray-Ban, Oakley, Persol, Vogue and Arnette and our licensed product brands include Tiffany & Co., Prada, Dolce & Gabbana and Chanel. So with global leading products and a worldwide presence, we are the #1 Eyecare and Eyewear solution. 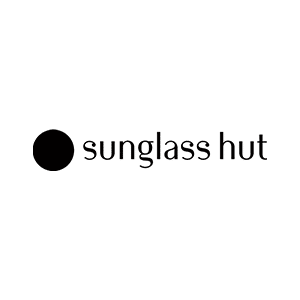 In the UK & Ireland we have over 150 stores under two leading retail brands David Clulow and Sunglass Hut. As a Part Time Associate you will provide a memorable customer experience to all customers when purchasing our products and visiting our stores. As a Sales Associate you will deliver exceptional sales results by assisting the customer in selecting products best suited to their lifestyle. You’ll get to perform almost all store functions including opening and closing, merchandising and of course selling. As a Luxottica ambassador you will understand and bring to life the Luxottica characteristics and the Sunglass Hut culture. To apply, please hand your CV in store.